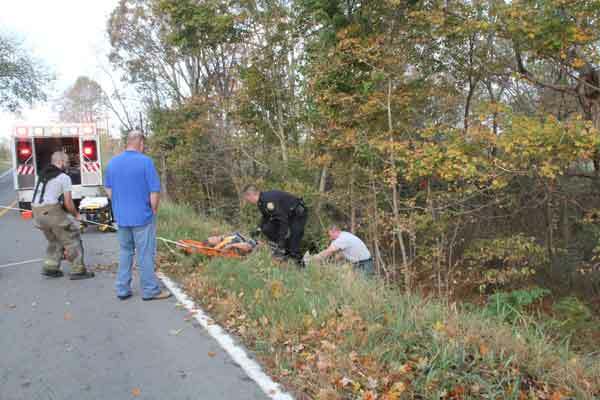 A 23-year-old Adair County man lay injured for more than two and a half hours after an auto accident Friday morning before a nearby resident heard his cries for help. 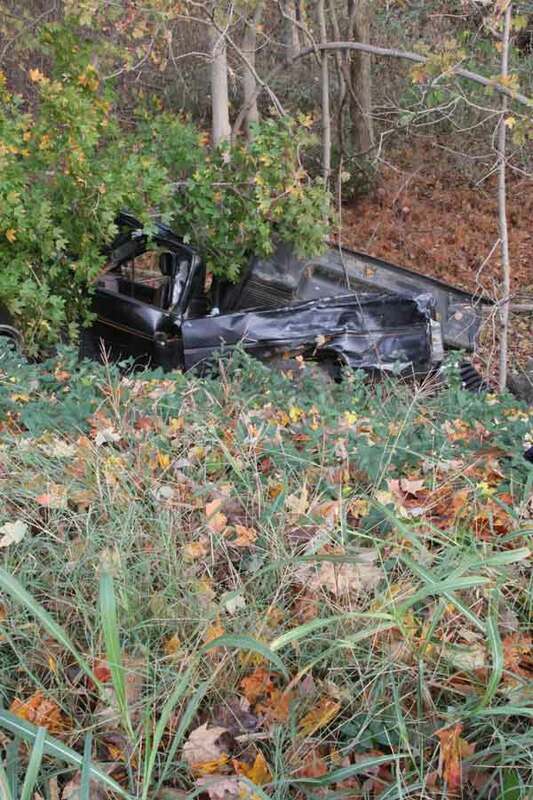 David Wheat wrecked his Nissan pickup truck around 5:30 a.m. on Edmonton Road around 3.5 miles east of Columbia. The truck traveled over an embankment and could not be seen from the highway. Wheat was injured and not able to climb the embankment to seek help. Bryan Robertson said he heard cries for help and called 911 around 8 a.m. Robertson told the Community Voice he heard a noise around 5:30 a.m. and even went outside to listen but determined it must have been an animal. He didn’t hear anything again until 8 a.m.
Several emergency service personnel and volunteers worked to bring Wheat up the steep embankment. The Adair County Fire Department was called to provide a stokes basket and Wheat was successfully rescued and treated at the scene. Deputy Sheriff Aaron Rainwater is investigating the case. He was assisted on the scene by Sheriff Harrison Moss, Deputy Josh Durbin, Deputy Joey Keith, Police Chief Jason Cross, and Emergency Management Director Mike Keltner, Adair EMS and Adair County Fire Department.